AutoXray Tech Scan Diagnostic Scan Tools are designed to read, record and playback the live sensor data displaying the trouble code information and their definitions. 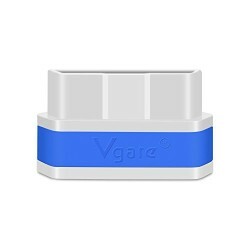 They are fabricated from a high quality material that features the trilingual menu of English, Spanish and French offering the SD card slot and allows memory expansion. These tools are equipped with True Bi-Directional capabilities, graphing data, acronym and code library lookup, retaining the most recently scanned vehicle data and configuration. They are enhanced with color-coded cables which have the capacity to enter more than one feature with user programmable hot key. 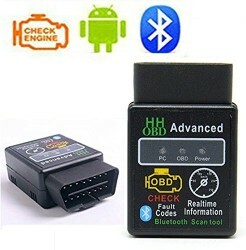 These tools are easy to maintain and are supported by OBDII code command.Today’s automobile is as much a product of the modern age as any personal computer. Wired with networks of on-board computers designed to optimize efficiency and proper functioning using standardized Onboard Diagnostics (OBDs), they churn out Diagnostic Trouble Codes (DTCs) intended to alert drivers and technicians of potential problems. Professional garages use expensive diagnostic scanners to decipher these codes, but there is another way to get the job done. 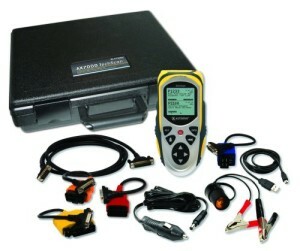 AutoXray’s AX7000 TechScan Diagnostic Scan Tool. View larger. The AutoXray AX7000 offers all the benefits, accuracy and upgrade opportunities of a high-end diagnostic tool, with a price tag that both automotive professionals and serious do-it-yourselfers can afford. Loaded with easy to use diagnostic software, constructed of tough, gripable plastic and coming complete with a rugged carrying case, an assortment of color-coded, OBD-specific cables and a deep array of features, it is designed to put the ability to read, record and playback live sensor data, trouble codes and their definitions in the palm of your hand. The AX7000 offers an extensive range of diagnostics possibilities, including access to diagnostic codes and datastreams ranging from GM, Ford and Chrysler OBD-I codes (1982 – 1995), all OBD-II enhanced codes (1996 and newer), GM, Ford and Chrysler enhanced OBD-II datastream (1996 – 2006) and enhanced OBD-II code commands for Toyota, Nissan and Honda models. In addition to this, the unit also ships loaded with software containing many other useful functions such as graph data (1984 – 1995), an acronym library, an O2 monitor test, extensive bi-directional test functionality, a diagnostic monitor test, the ability to print directly from the scanner via a USB cable, multiple feature launching through programmable hot keys and much more. Too often diagnostic tools are created with an overly narrow purpose, forcing consumers to buy a different tool for each job. As a reaction to this, the AX7000 was designed to offer something rarely seen in a tool in its price range, upgrade options both attractive and easy. First, to take advantage of its long history in the diagnostic tool industry, AutoXray has ensured that the AX7000 is Internet updatable, allowing AX7000 owners to both upload software shipped with previous AutoXray scanners for a nominal fee, as well as the latest versions of the AX7000 software. More importantly, the AX7000 SD memory card slot allows owners to upgrade their scanner with specific definitions, codes and datastreams as they are released. A regular release schedule of upgrades has been established for the near future which will include SD cards and any necessary cables. Through this groundbreaking release strategy, owners can customize their AX7000 tools with additional upgrades as they need them, without having to pay for unnecessary hardware or features. 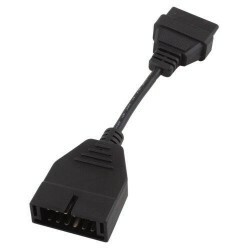 The AutoXray AX7000 TechScan Kit contains: techScan base unit, OBD-II cable, GM OBD-I ALDL cable, Ford OBD-I MCU/EEC-IV cable, Chrysler OBD-I SCI cable, USB cable, 6-foot extension cable, cigarette lighter adapter, vehicle battery adapter, blow molded hard case, trilingual quickstart manual (English, Spanish and French). AutoXray, Inc., a division of SPX Service Solutions, is a leading provider of effective, affordable diagnostic equipment to both amateur and professional automotive technicians. SPX Service Solutions designs, manufactures and markets a fully integrated family of global brands providing specialty service tools, advanced diagnostic and shop equipment, inspection and gauging systems, training and technical information for vehicle servicing and maintenance. All AutoXray products are warranted to be free from defects in material and workmanship for a period of one year from the date of purchase by the user with proof of purchase. 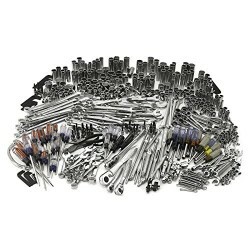 Certain AutoXray products carry two or three year warranties as specified in the product specifications. During this period AutoXray will repair or replace any unit (at their discretion) found to be defective in material or workmanship. This warranty does not apply to any product which has been subjected to abuse, negligence, misuse, accident or which has been altered other than by AutoXray’s express consent and instruction.